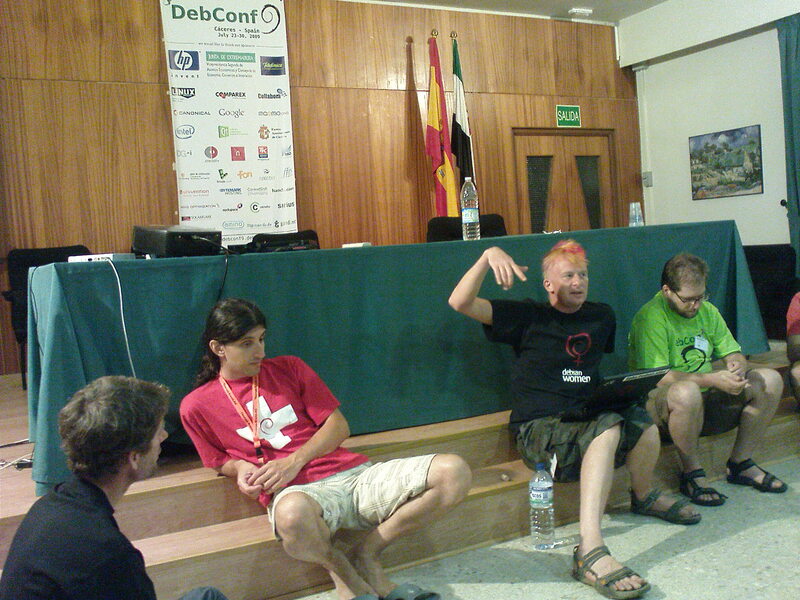 Besides all that, this DebConf left such a great impact on me, that I’m still going through all my impressions. 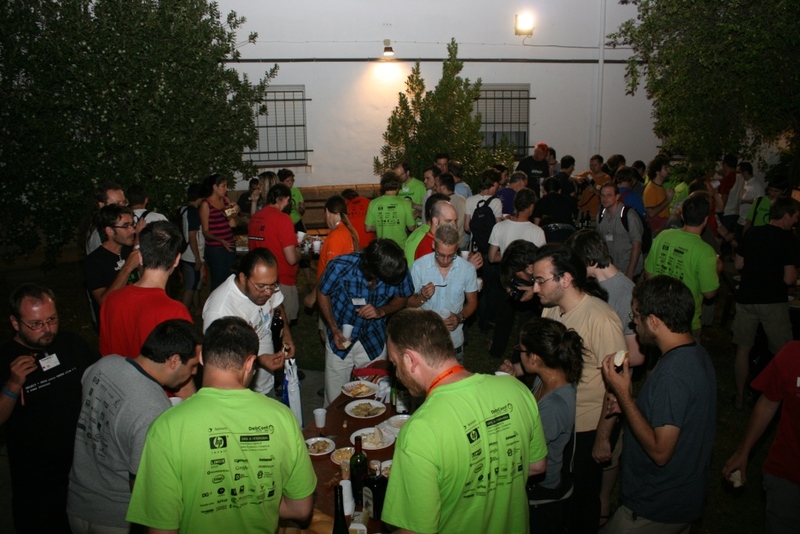 Even though I didn’t mention anything here or anywhere really, I had big plans ;) Either way I attended this years annual Debian developer conference from 23th to 31rd of July, which was held in Cáceres, Extramadura, Spain. 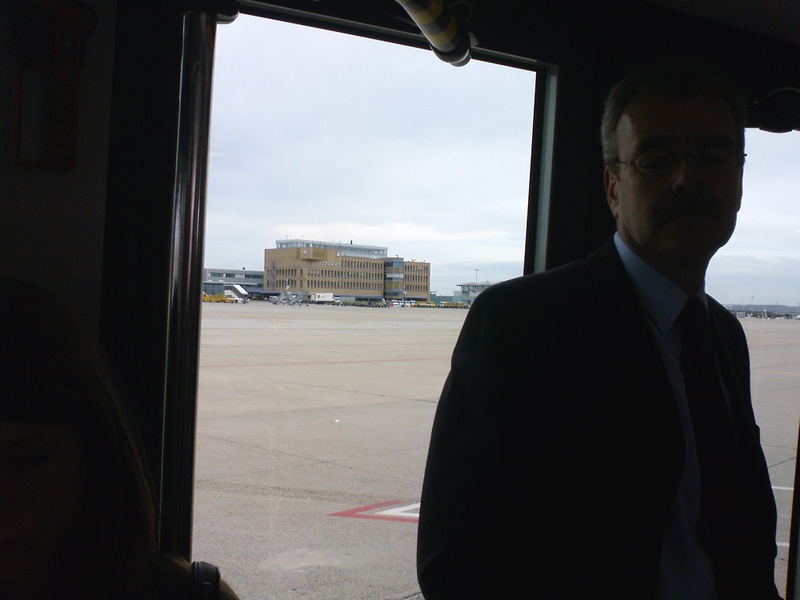 However, Madrid was the problem, first we were running late for some 30 minutes, then once we landed on Barajas which is huge, we kept “driving” around the airport for another 30 minutes. This was crucial for my “travel schedule” since any unexpected time deviations and I won’t be able to catch my train to Cáceres. 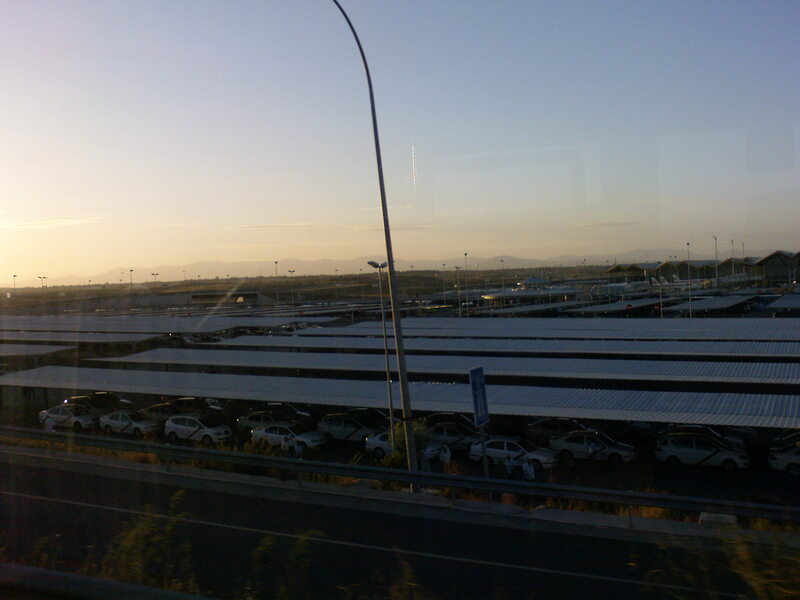 Plan was utterly simple, get to “aeropuerto” terminal, get on a metro/subway that is part of the airport, get to this station and get a train to Cáceres … simple as that. 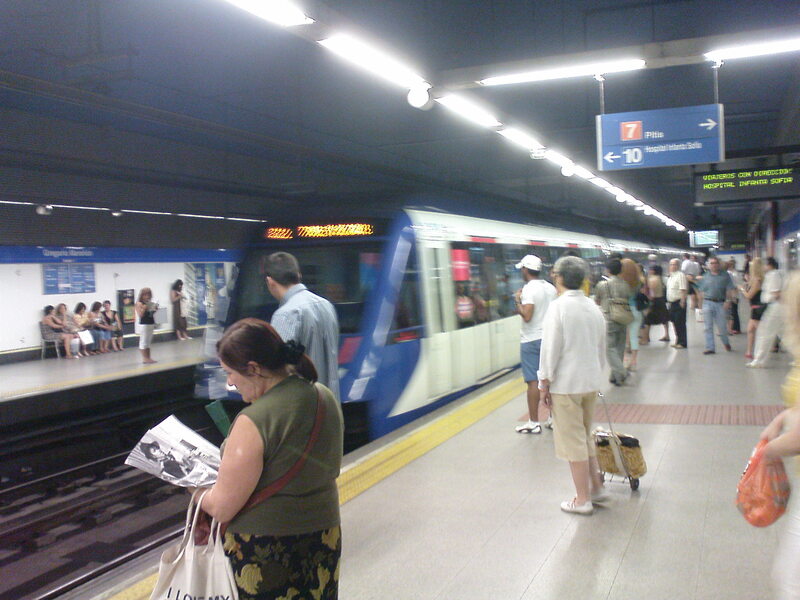 I keep running around the whole thing like a absolute lunatic, I knew my last train was gone, I had money and everything I had no problem sleeping over in Madrid but I didn’t give up, and kept acting as a loony and trying to catch my last train which was long gone. I finally get to a my (supposedly) gate, I see train leaving; I wave at the person closing the door; he stops; I get in; no ticket; nor clear idea where the train was going or anything. 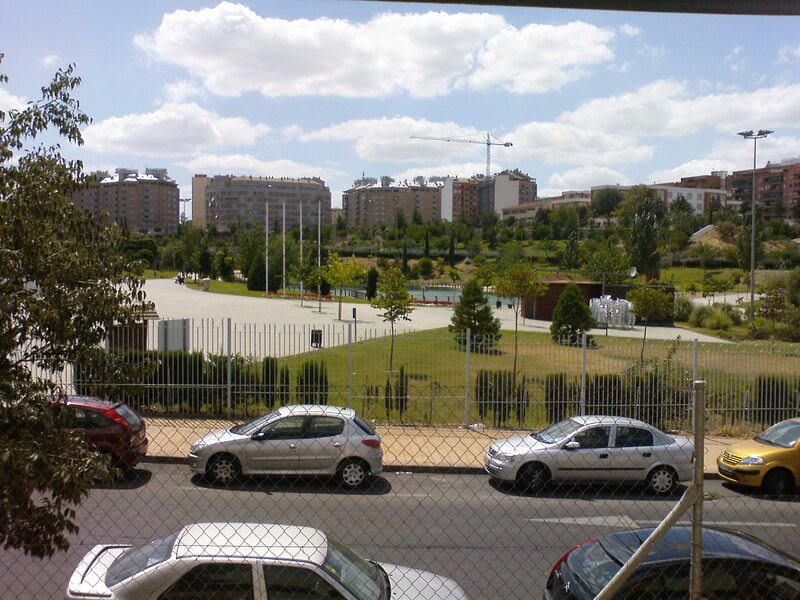 Apparently, that was my last train, it turns out train was going to Lisbon, couple of hours later, I do get to Cáceres. I get off the train, it was around 2 am, date 23rd July. I don’t make 2 steps out of the train and there he is, Eddy! 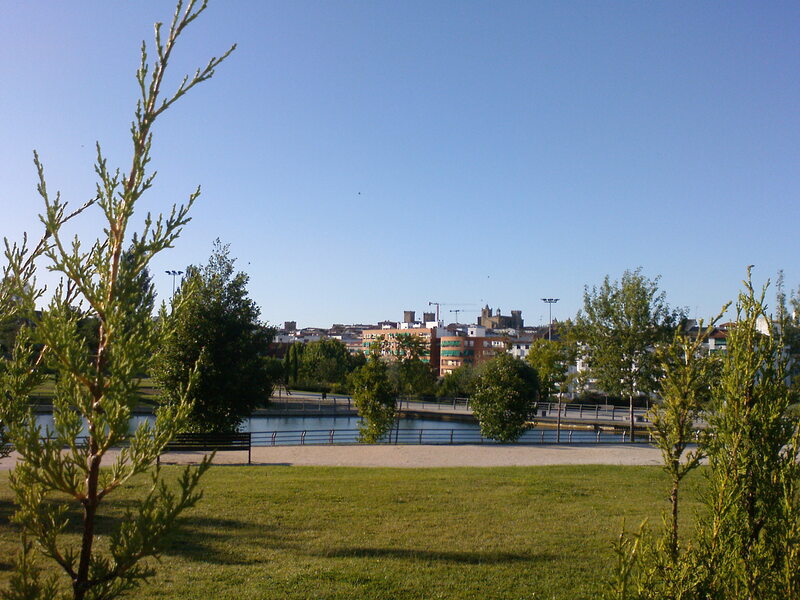 :D We decide to walk and catch up with some talk, long time no see eh? 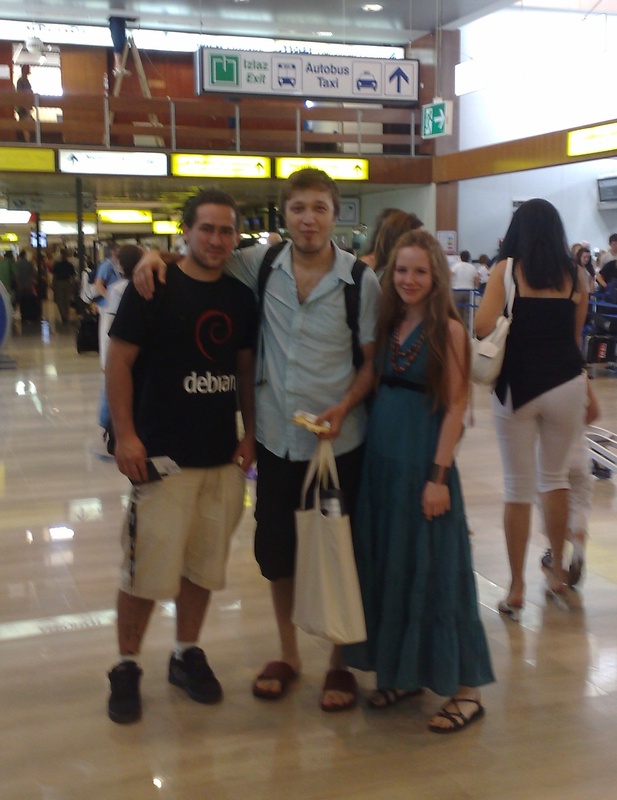 We talk about many things, from wormux devel to C# vs Java platform portability to how we both need this DebConf to give us some kind of motivational “boost”; soon afterward we get to student residence “Diego Muñoz-Torrero” which was DebConf9 main venue. 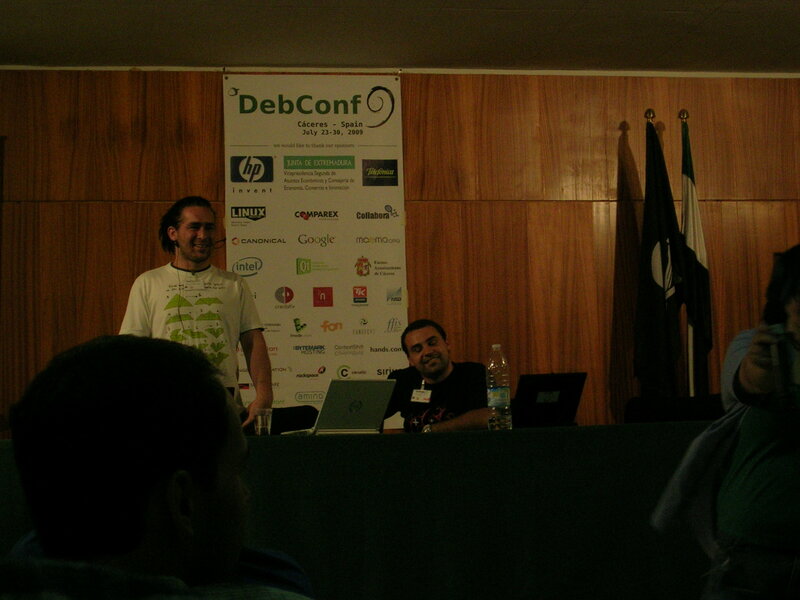 For this years DC, I was a Bosnian “prophet” whose mission was to hold a speech on “DebConf11 in your city” and make Bosnian official bid for DebConf11 candidature. Besides me, I shared podium with Joerg Jaspert (Ganneff) who’s German team leader. This is something, I haven’t told too many people about, mostly due to my strategy to acquire competent and responsible people for our local team. All other countries are “out” and Bosnia is competing for DebConf11 in which we’re left with the most serious competitor of them all, Germany. I’ll talk more about this, later in this post. 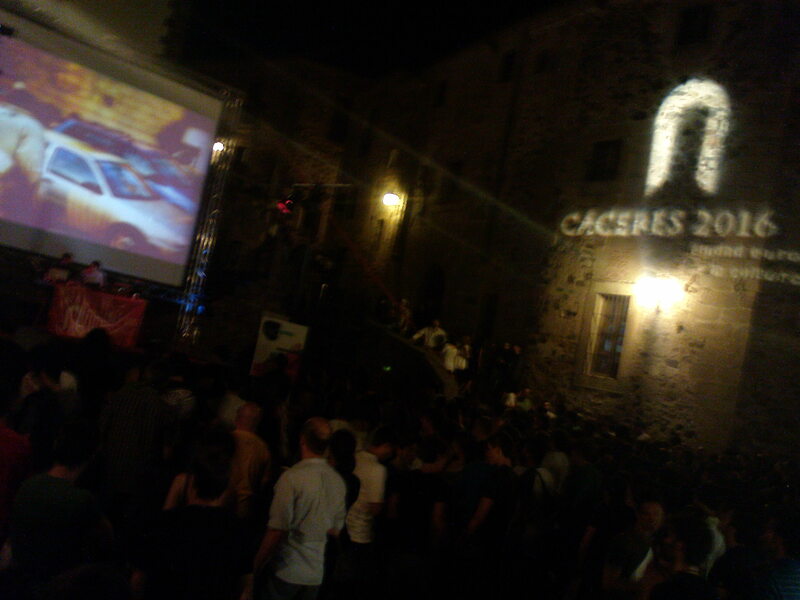 There was something really special with this DebConf, Cáceres is an awesome place, disregarding its size (<= 100k inhabitants) has highly enviable night life as well as cultural events and manifestations. Government (which is autonomous btw) was one of the sponsors for this event, besides some “big shots” such as Google, Intel and such, I also noticed that Cáceres is European City of Culture for 2016 which only makes you “thumbs up” for government which is rarely the case. One of the biggest changes that occurred on this DC are one of the things I’ve been saying for a long time now, and that is that Debian decides to adopt time-based release freezes! Following this new policy next Debian release 6.0 “Squeeze” should be out in spring of next year :) Regarding “direct” Debian development, I too had some ideas that I’d like to see in Debian, and I’ve talked to some developers who want to work on the same! I won’t say anything yet, but we should start work around September, want to give ourselves some more free time :P Until then, stay tuned. This has been one of the most productive conferences we have ever held. Our developers and teams achieved a great deal during this short period, and this will surely have a big impact on the upcoming release of Squeeze . As I previously mentioned (see above), I announced Bosnian official bid for DebConf11; I pretty much worked whole DC on realizing this idea (even missed the daytrip cuz of all the work that needed to be done! :(), by preparing the speech, working presentation for the speech and wiki page (let me use this opportunity to thank change for all the help and assistance! 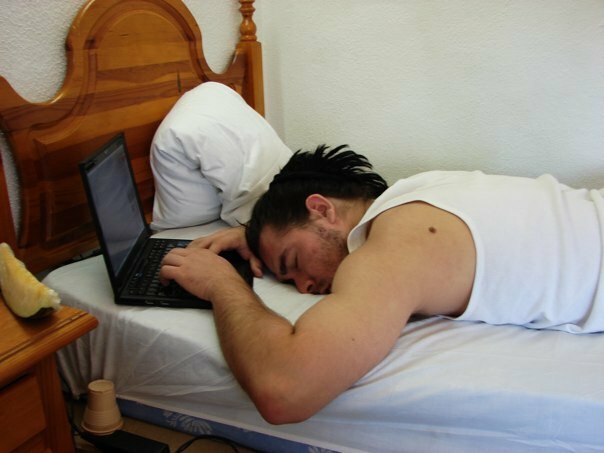 ), lack of sleep … ah lack of everything, until the actual “to be or not to be”. Anticipation kept kicking in until the last moment, until I stepped on that podium, and everything just started going pretty much as I planned it :) As they say picture describes 1000 words since you were able to watch it live on DC9 website, video is still not uploaded on servers, but once it is you’ll be first to know :) I do think, speech went pretty good, and most of people that seen it/attended it said they loved it, and that even at some point it touched them “sentimentally”. To prove my point, there are even people from Germany who are opting for Bosnia. However, this is only the start and we have to keep the pace if we want to get anywhere, since Germany has the largest Debian team after USA. 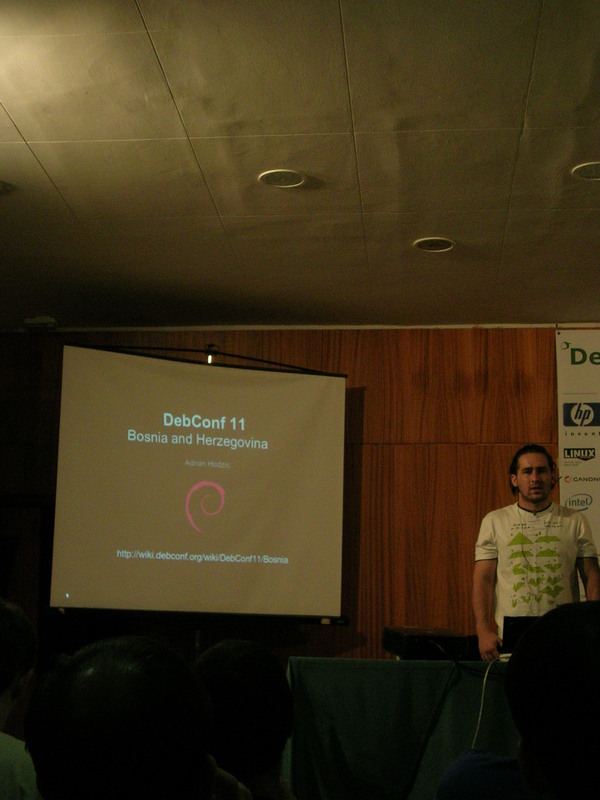 For those of you who have any questions, please mail us at debconf11-bosnia@lists.debconf.net or use Contact above. See you next year in New York City!